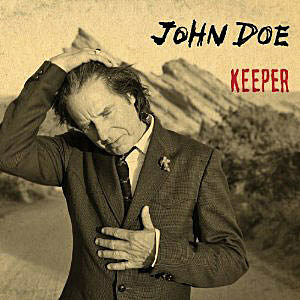 X’s John Doe is in NYC to to promote his new album “Keeper” which follows his release from earlier this year, a collaboration with Jill Sobule. John will make three live/tv appearances while he’s here. Tonight (9/7), catch a free performance at 7pm at Soundfix Records in Brooklyn. Thursday (9/8) catch John at Rockwood Music Hall where he’ll probably play a longer show. Thursday night watch him on Letterman! If you miss him, John won’t be gone long, but when he returns it will be the more punk rock version of himself. X just announced a show at Maxwell’s that happens on their fall tour that also includes two NYC shows and a gig in Asbury Park.